Our shower heads with arms are designed to complement each other perfectly, giving your bathroom a stylish, coordinated look that will last. Many of these head and arm packages feature rub-clean nozzles which allow you to easily clean and maintain your shower, minimising the risk of limescale build up. 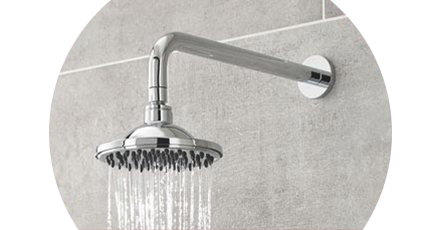 Whether you need something ultra-modern, or perhaps you want a timeless look, our selection of shower heads with arms features designs to suit all tastes.